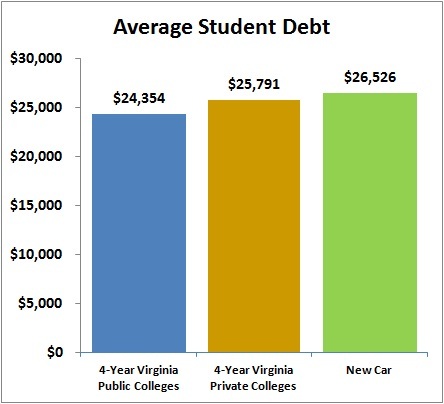 The average amount borrowed by bachelor's degree graduates from Virginia's private colleges is comparable to the average amount borrowed by graduates from 4-year public colleges and is less than the average amount of a new car loan. Unlike a new car, a college degree is an investment that will continue to appreciate over a lifetime. Virginia private colleges work hard to provide an exceptional education at a reasonable cost. 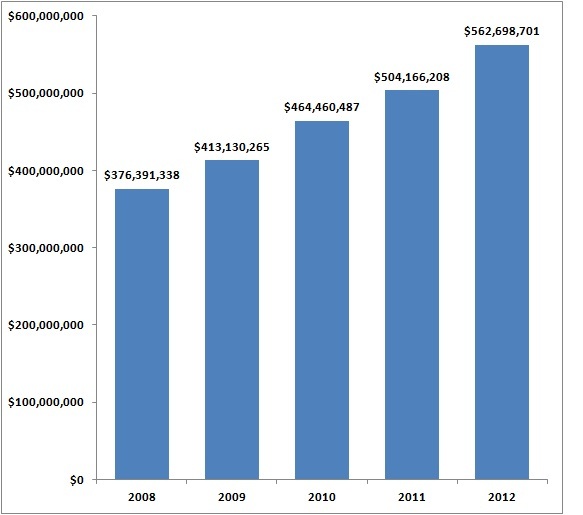 In 2012, over $560 million in institutional aid was awarded from institutional resources to students...a 50% increase from 2008. Virginia's private colleges and universities employ 20,000 people around the Commonwealth and are among the largest employers in certain regions. Virginia's private colleges and universities spend a greater percentage on instruction and academic support than do Virginia's 4-year public colleges. 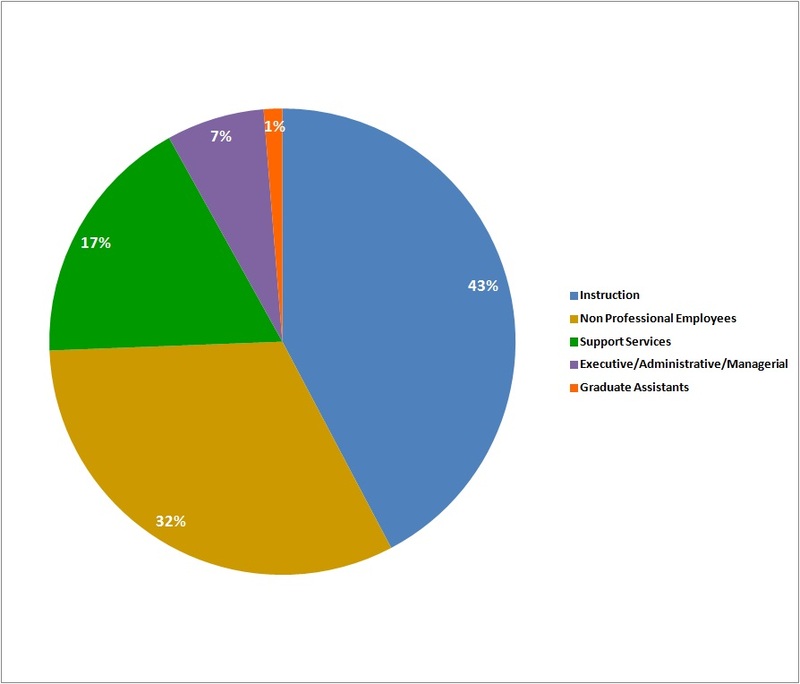 Source: National Center for Education Statistics (IPEDS 2011-12 Survey, Finance Component); includes Virginia 4-year public and private not-for-profit colleges with undergraduate programs. The number of degrees awarded by Virginia's private colleges and universities to Virginia students has increased 93% over the past 10 years. 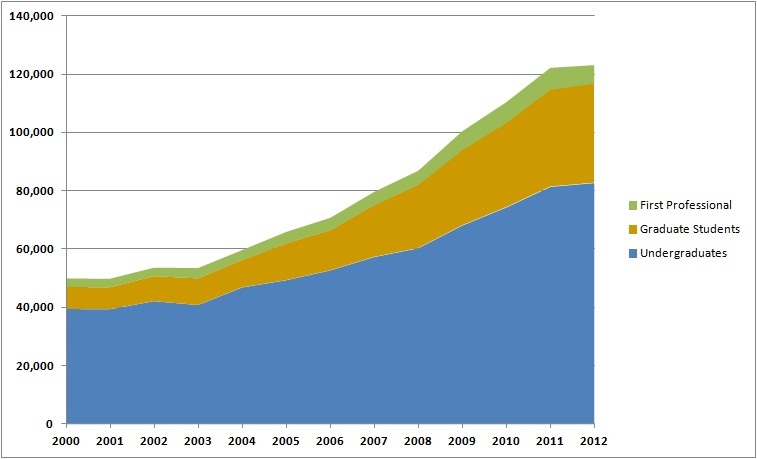 Source: SCHEV C01 Completions by Domicile Report. Virginia's private colleges are becoming the access institutions in the Commonwealth. 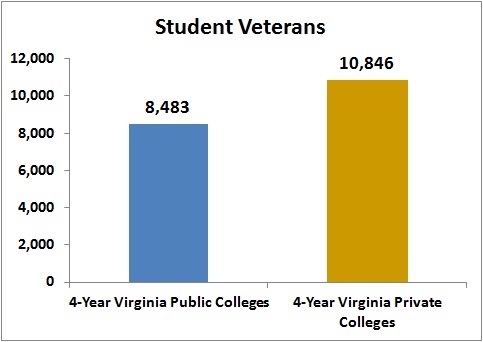 Over the past 4 years, the percentage of Pell Grant recipients at Virginia's private colleges increased 31%. The most recent data shows that 38% of all undergraduate students from Virginia's private colleges receive Pell Grants, which are received by the families with the greatest need. Virginia's private colleges are a destination of choice for almost 1,400 Virginia community college transfer students this academic year. 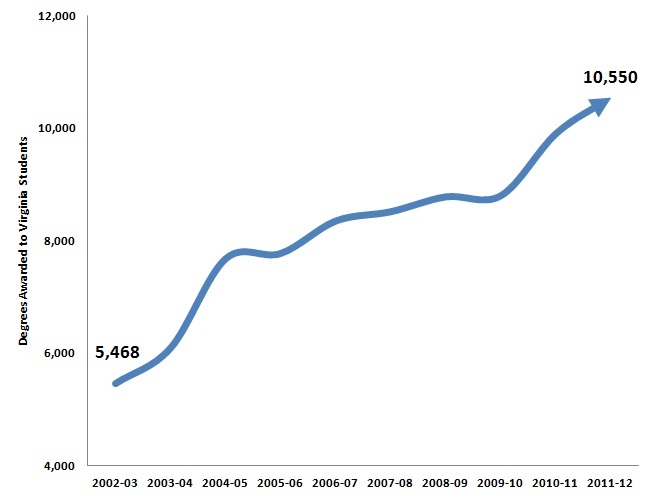 Over the past decade, the number of community college students enrolling at Virginia's private colleges has increased 46%. This year, TAG is celebrating 40 years of making a college education more affordable for over 182,000 Virginians, including many low and middle income families. In 2012-2013 over 22,000 Virginia students from all across the Commonwealth will receive a TAG grant. 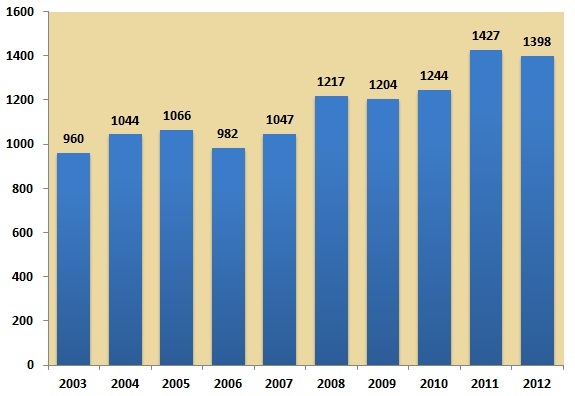 Between 2000 and 2012, Virginia's private colleges and universities increased total student enrollment from 49,951 (2000) to 123,210 (2012) - a 147% increase. Virginia's private colleges enroll 33% of undergraduates, 44% of graduate students, 56% of first professional students, and 36% of all students in the 4-year sector in Virginia.